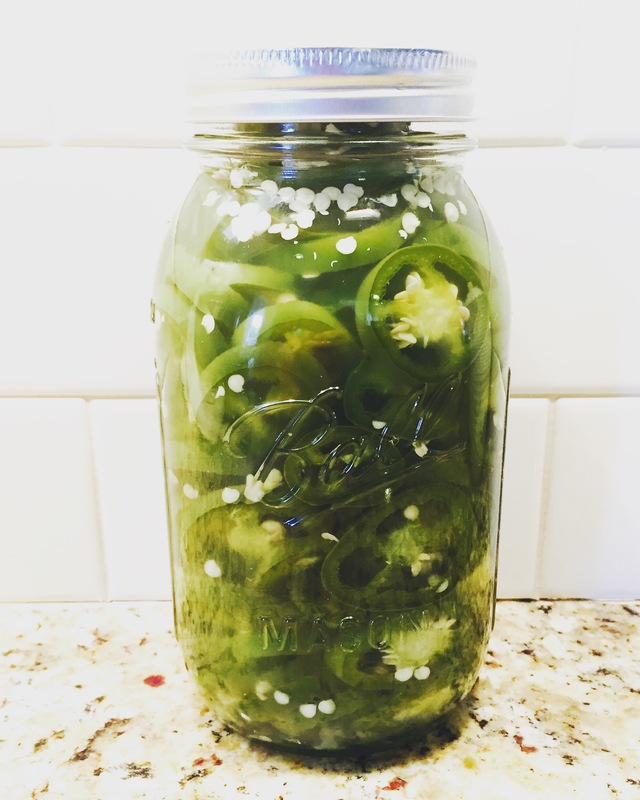 We have picked approximately 2 million jalapeños from our garden this year so I love trying different ways of preserving them. This recipe only takes about 25 minutes for a jar that can last for weeks. 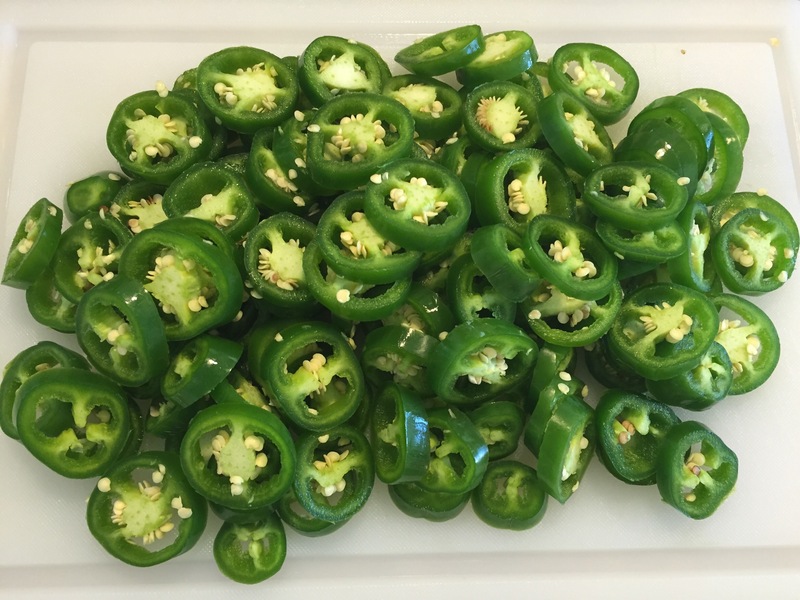 Begin with about 15 large jalapeños sliced with the stems cut off. Combine 1 cup distilled white vinegar, 1 cup water, 2 garlic cloves (slightly smashed), 4 tablespoons of sugar, and 2 tablespoons of salt. 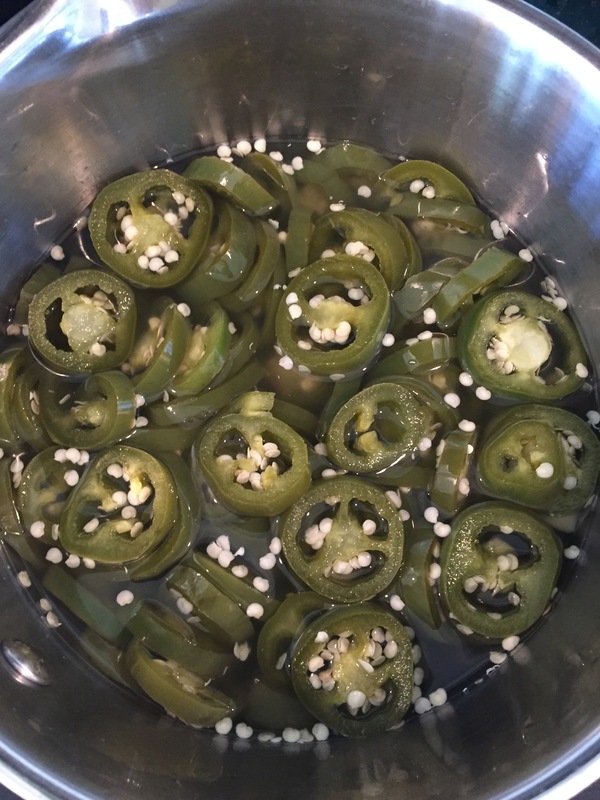 Bring to a boil and add in your jalapeños. Remove promptly from heat and press all of your slices down into the mixture. 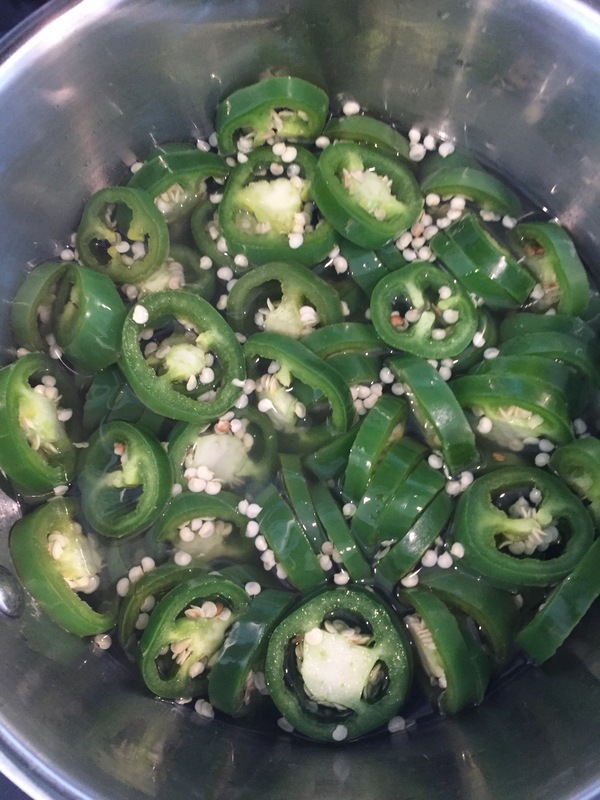 You will begin to see the jalapeños turn color. OMG I think I would eat the whole jar. Those look AWESOME. Wow! Only 25 minutes?! I gotta try this!